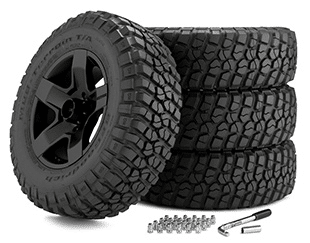 Find the best set of 20” wheels and tires for your off-road truck or SUV here at Tyres Gator. Our online system makes it so easy to pick out the perfect tires and wheels for your vehicle that you’ll have a hard time believing that it took you only minutes and that you saved so much money! Our packages also come with an installation kit and we have tire mounting and balancing services available to you so you can get them onto your SUV or truck and get out onto the trail! Get your new set of 20” wheels and tires from Tyres Gator now! Build 20″ Off-Road Wheels Package and Save! 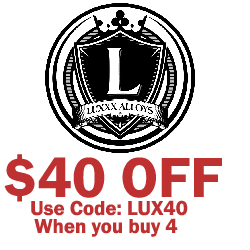 Build 20″ Luxxx Off-Road Wheels RENEGADE R/T Package and Save!